Residual stresses are a common phenomenon in composite materials. They can either add to or significantly reduce material strength. Because of the increasing demand for high-strength, light-weight materials such as composites and their wide range of applications in the aerospace and automotive industries, in civil infrastructure and in sporting applications, it is critical that the residual stresses of composite materials are understood and measured correctly. The first part of this important book reviews destructive and non-destructive testing (NDT) techniques for measuring residual stresses. Various mathematical (analytical and numerical) methods for calculation of residual stresses in composite materials are also presented. Chapters in the first section of the book discuss the simulated hole drilling method, the slitting/crack compliance method, measuring residual stresses in homogeneous and composite glass materials using photoelastic techniques, and modeling residual stresses in composite materials. The second part of the book discusses residual stresses in polymer matrix, metal-matrix and a range of other types of composites. Moreover, the addition of nanoparticles to the matrix of polymeric composites as a new technique for reduction of residual stresses is discussed. 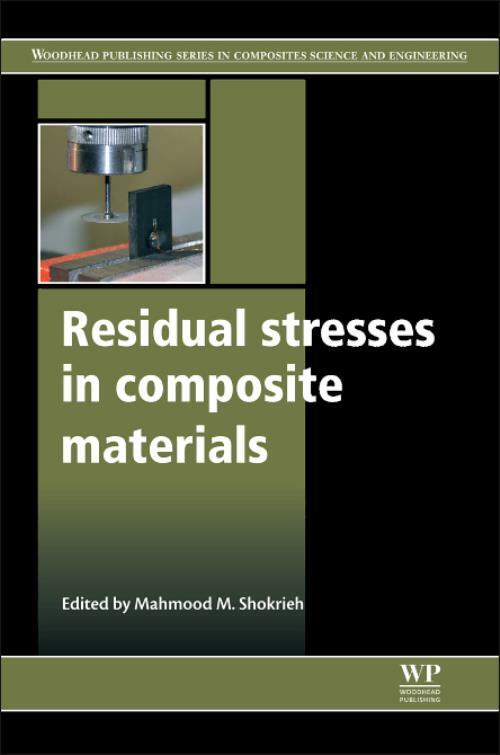 Residual stresses in composite materials provides a comprehensive overview of this important topic, and is an invaluable reference text for both academics and professionals working in the mechanical engineering, civil engineering, aerospace, automotive, marine and sporting industries. Shokrieh, Mahmood M.Mahmood M. Shokrieh is a Professor at School of Mechanical Engineering, Iran University of Science and Technology, Iran.